Emily Bett Rickards is enjoying the life of being casted as the love interest of Oliver Queen as Felicity Smoak. She has a fashionable side to her that is now being brought out by the show runners. The Arrow S6E8 Felicity Smoak Khaki Knit Zip Jacket is from her clothing collection. 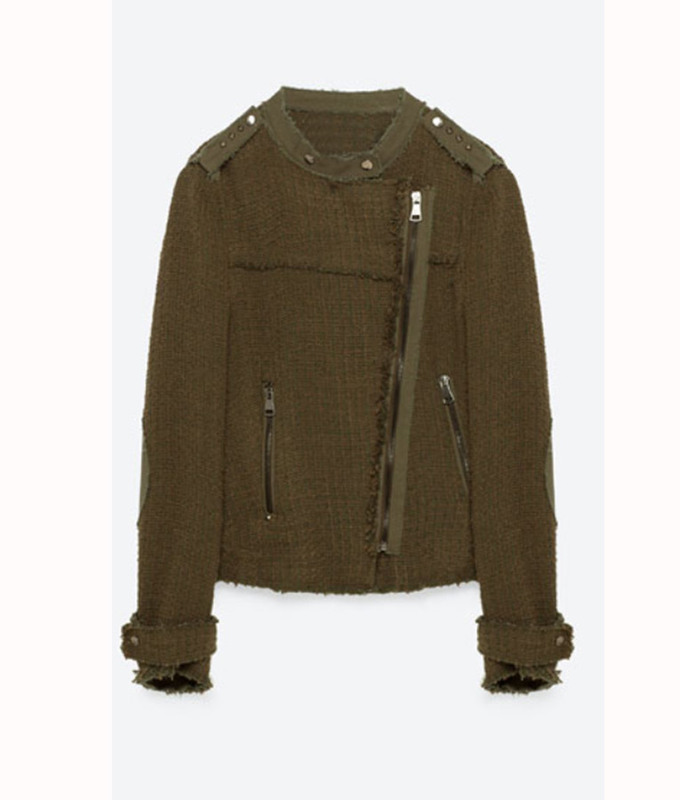 The Emily Bett Rickards Arrow S6E8 Felicity Smoak Khaki Knit Zip Jacket is made from a classic style of knitting to make it cozy and edgy than any outfit you have. Everything about this jacket is unique. Buttons fasten the round neck collar while the shoulder epaulettes are featured too. There is a open cuffs with button straps as the closure while the front has a zipper.